Hello, and Merry Christmas everybody! Today's release is a re-upload of the first volume of this series, and the addition of volume 2. I'm hoping to get my hands on volume 3 (the final volume) soon, so please wait a bit longer for it! In a deep forest at the outskirts of town stands Black Ivy Manor, home to Kariki Yukihiko, a mysterious young man who has lived alone ever since he was a child, raised only by servants his wealthy parents hired to attend to him. When she was young Chizuru lived at Black Ivy Manor with her mother, who was the housekeeper. Although the townspeople feared Yukihiko, Chizuru saw kindness under his morose exterior and came to idolize him. Likewise, Yukihiko treasured Chizuru for her innocence and kindness toward him, when everyone else including his own parents were too afraid to come near him. However Chizuru's mother passed away when she was in middle school, and she was sent to live with her aunt and uncle. 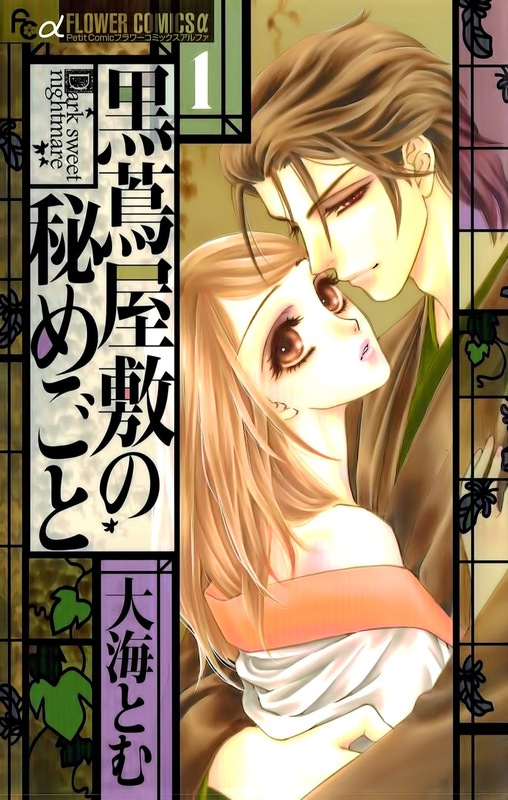 After graduating from University, Chizuru returns to Black Ivy Manor, and Yukihiko, as the new housekeeper. The two quickly rekindle their relationship and soon begin to uncover new feelings for each other, however there is a darkness inside of Yukihiko that Chizuru never noticed before. He is hiding many secrets... When Chizuru discovers them, will she accept Yukihiko or flee from him? And if she does chose to flee... will he let her get away? Thanks for the volumes =D. I will be very happy if you can get the final volume xD.